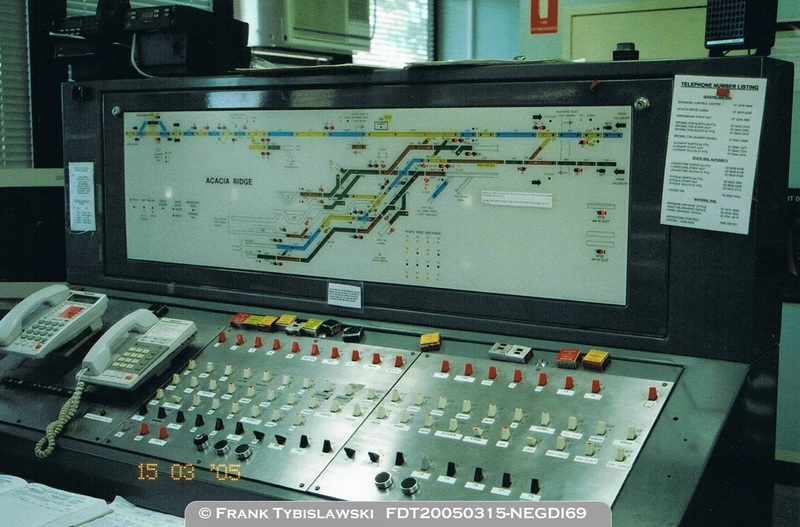 On this page you will find basic details of the many and varied signal control panels used in Queensland. All panel types are included covering those still in use, and those that have been decommissioned and removed. Any additional information on any signal control panel used in Queensland is most welcome and would be valuable for ongoing research. 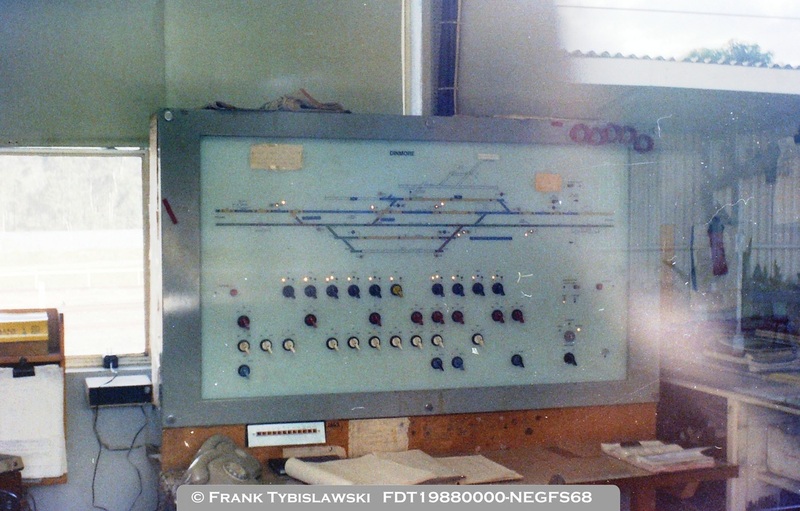 Acacia Ridge (1st): The first signal control panel at Acacia Ridge replaced the mechanically interlocked cabin and was an unusual design basically built into/onto a wooden desk. Telephone type switches were used and illumination was with LED's. Acacia Ridge: This panel has changed again since 2005 as the control of Greenbank, and stations to the NSW Border, are now controlled by ARTC. Bundaberg: A Westinghouse panel (the same style as Gympie) provided when CTC was commissioned to allow shunting to be managed locally. Now decommissioned and removed this panel is in the care of the North Bundaberg Museum. Bundamba: The panel was commissioned at Bundamba in 1980 when the signal cabin was decommissioned in association with the re-signalling between Darra and Ipswich for electrification. 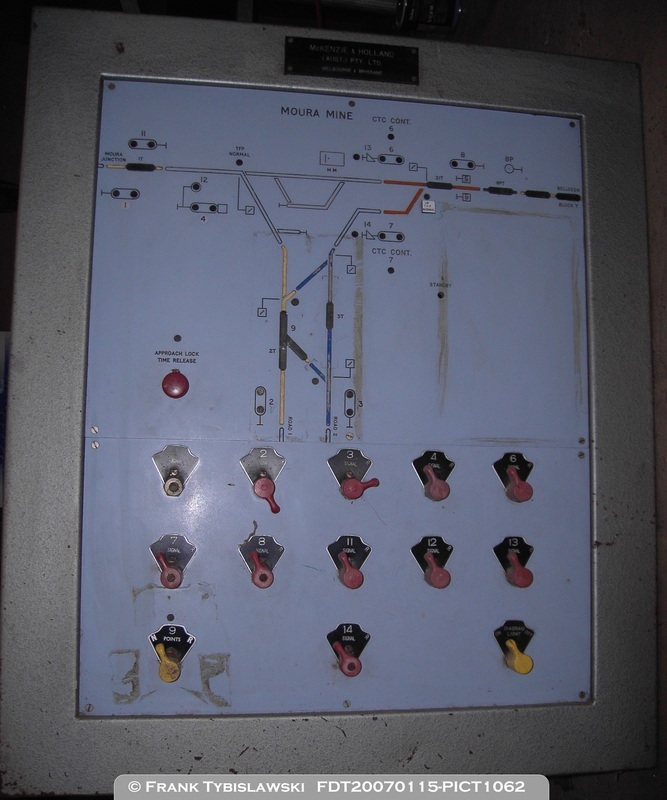 The image below shows the panel after two modifications had been made - removal of the Down Siding and addition of Slot Switches for signals BA4 & BA6. 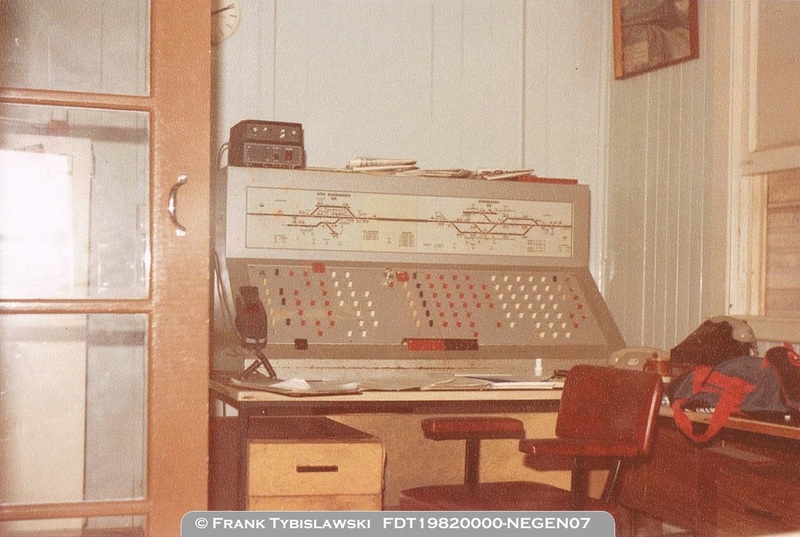 The panel was disconnected and relocated to the Relay Room when the station building was refurbished but has not been reconnected. 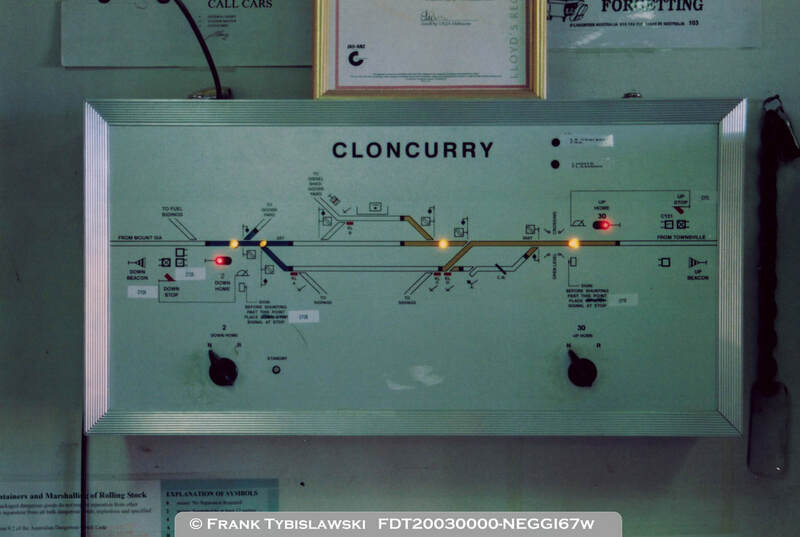 Cloncurry: This small panel existed in the station building to control the Up Home and Down Home signals. The panel was decommissioned when control of the yard transferred to Queensland Rail and presumably removed. Cobarra: It is unclear when the first panel was provided at Cobarra, however control of colour light signals commenced from the opening of the Greenvale Railway in 1975. An image of this panel from the 1990's is included in Safeworking History - Volume 2 The Cobarra to Greenvale Railway, coming soon to the Store Page. 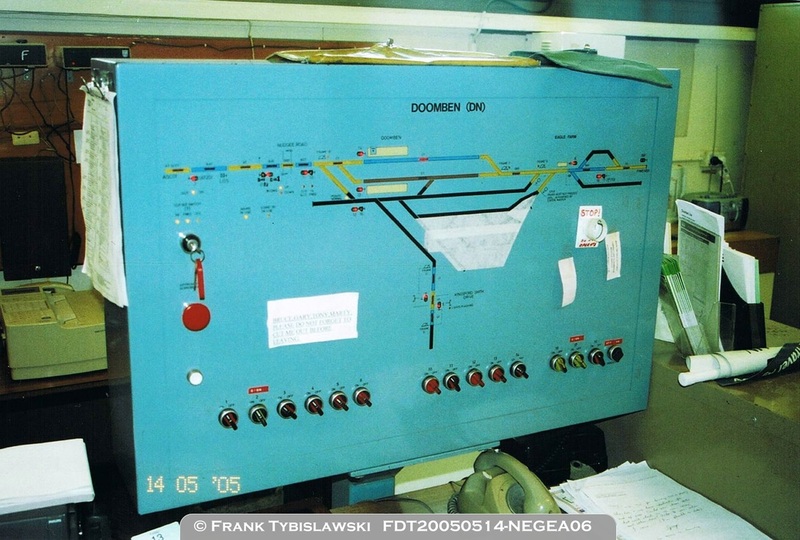 Dingo: While not a signal control panel as such a small mimic panel existed at Dingo station and is thought to date from when CTC was implemented. Indications displayed show track occupancy, points position and ground frame status only - no signal indications are displayed. Click here to go to the Preservation Page. Dinmore: An early image of Dinmore Panel, taken through the side window of the station building. All the Up and Down sidings still existed at this time and no modifications had taken place yet. The panel is in the "Remote" mode with control of points and signals controlled by Mayne Control Centre. Unusual for the diagram lights to be left on over the weekend. The Up Sidings (top of diagram) have since been removed, and the Down Sidings reduced from two to one which services the cattle yard. Garbutt: A temporary signal control panel existed at Garbutt in 1991 as an interim arrangement prior to the introduction of CTC. 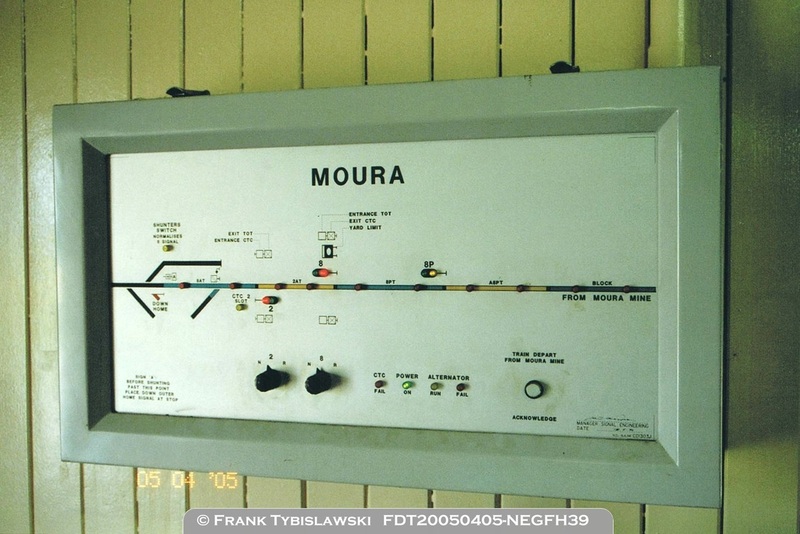 Moura Mine: Thought to date from 1971 when CTC was implemented between South Gladstone and Moura Mine, the panel controlled signals and one set of points at Moura Mine. It was operated by the Station Master and does not appear to have changed throughout its life. It features Westinghouse rotary switches and incandescent lamps. Stuart: An early design of panel by McKenzie & Holland commissioned in the 1960's to replace the mechanically interlocked signal cabin. The decommissioned panel is stored at The Workshops Museum North Ipswich. Corinda (1st): A temporary signal panel existed in the old Corinda (mechanical) cabin during the transition to the new cabin. Corinda (2nd): The switches from Corinda panel have been reused in a private collection for a model railway. The building still exists in situ at Corinda. Goodna (1980): Panel decommissioned following the 2011 floods which submerged the station building. Hughenden: A small panel decommissioned in 2014 controlled three signals within the yard. Redbank: The panel at Redbank was decommissioned when the Up Yard was reconfigured as a stabling yard for suburban trains. Townsville Jetty: A small panel decommissioned in 2014. 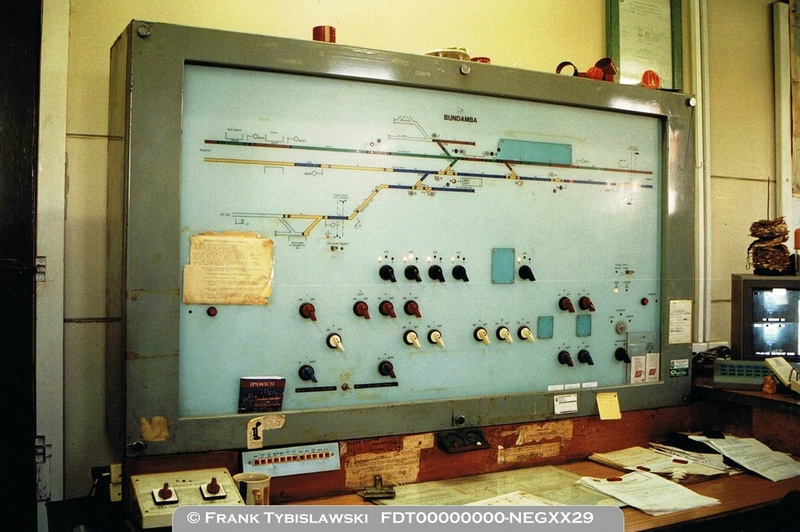 Yeerongpilly: A panel, decommissioned during re-signalling for electrification, was located in the mechanical signal cabin and controlled Tennyson and part of Moolabin yard.